“Cool” keeps this era burning. After Selena Gomez bowed at the top of the album chart, her former Disney mate is also looking for a #1 entry on the Billboard 200 with her fifth studio album. Two singles from the effort have already graced the charts: “Cool For The Summer” and the title track. Lovato usually opens well in her first frame, so expect this one to do the same. After years of covers and medleys, this a cappella act is out with their first album of predominantly original tunes. It also features guests like Jason Derulo and Tink, the latter of whom appears on a remix of first single “Can’t Sleep Love”. The set should register a top five debut on the album listing. Lawson’s single “Wasn’t Expecting That” is a big #1 seller in the United Kingdom, and its recent status as the On The Verge song at Hot AC radio for radio giant iHeartMedia propelled into the top 20 at that format. Ed Sheeran gave him his seal of approval; will you? Singer Omar Paisley may like a “Cheerleader” or two, but he’s also hoping his debut set will get a rah-rah sis-boom-bah from music fans everywhere. The album also features followup single “Hula Hoop”, currently on the CHR radio chart. Next Friday, our preview will include new albums from 5 Seconds Of Summer, Carrie Underwood, Rod Stewart and a lot more. See you then! This “Pressure” test gets a passing grade. This week’s Highest Debut is the latest single from Maroon 5, “Feelings”, entering at #39. It is the band’s followup to “This Summer’s Gonna Hurt…”, which recently peaked at #5, but came and went very quickly. The group’s been charting since the summer of 2003, and this marks their 23rd top 40 song to reach my chart, an amazing feat. The single heads to radio in just over a week, so listen for it on your local station. It spent month after month climbing the Alternative radio listing, but Andrew McMahon In The Wilderness‘s “Cecilia And The Satellite” was finally sent recurrent recently after hitting #5 in July. That being said, it did peak at #3 on my top 40 last November (not to toot my own horn, but toot toot.) His followup, “High Dive”, bows in at #40 this week on my chart. It goes to radio at the format on October 13. Boy band One Direction takes a five notch leap from 13-8 with “Drag Me Down”, the first single from their next studio set and last one before a hiatus next year. “Drag” is the group’s tenth top ten single on my chart, and of those ten, “Story Of My Life” remains their only #1. New to the top 20 is the week’s Biggest Mover, “Great Big Storm” by Nate Ruess. It rises from 23-16 in its sixth week on the chart. The single is currently rising on the Hot AC survey after making the top 40 this month. This week’s Highest Debut is the fifth top 40 song from Taylor Swift‘s 1989 album, which has sold in excess of five million units in the U.S. alone. “Wildest Dreams” bows in at #36, while former single “Bad Blood” looks to be out of the countdown next week. As expected, “Wildest” is exploding at both CHR and Hot AC radio, and once a music video debuts tonight, it will soar up to the top tier of the sales chart. The clip features actor Scott Eastwood. In 2014, the Australian band Boy & Bear launched a pair of singles on my chart from their album Harlequin Dream, which was certified Gold down under. “Southern Sun” was the bigger of the two, peaking at #8 in February, while followup “Three Headed Woman” climbed to #12 in October. Their new single, “Walk The Wire”, enters at #39 this week. Their forthcoming album, Limit Of Love, is due in October. Their new era is “Off” to a good start. I suppose proclaiming that Duran Duran has the #1 song on my chart in 2015 might provoke a few “What year is it again?” reactions, but a great song is a great song. “Pressure Off”, which also features Janelle Monáe and Nile Rodgers, climbs a notch from last week, giving the quartet their third #1 on my survey, Monáe her second (both as a featured act) and Rodgers his first. The band’s two previous chart-toppers were 2005’s “What Happens Tomorrow” and 2011’s “All You Need Is Now”. 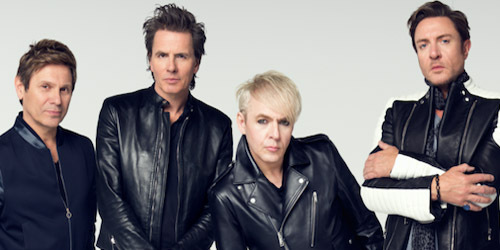 Look out for their new album, Paper Gods, in a little under three weeks. Two hot singles soar into the top ten this week, as Canadian performer Carly Rae Jepsen‘s “Run Away With Me” launches 11-6, while American duo A Great Big World‘s “Hold Each Other” holds the Biggest Mover title, leaping 12-5. Both singles should put up a good fight for #1 next month. Jepsen’s E•MO•TION album was released two days ago and could debut in the top 20 on the Billboard 200, while the duo’s sophomore set is due in November. Of this week’s two new entries, 39-year-old English singer and songwriter Jamie Lawson grabs the Highest Debut with the #39 song on the countdown, “Wasn’t Expecting That”. First released in Ireland four years ago, where it peaked at #3, the cut rose to the same peak in Australia earlier this year. On Monday, it’s headed to Hot AC radio here. His self-titled album is due worldwide on October 9. Connell Cruise‘s “Into The Wild” was playlisted beneath my top 40 last summer for a few weeks as it hit radio and retail in his native South Africa, but it disappeared by late July, and that could’ve very well been the end of the story. One year (and a U.S. record deal) later, Cruise makes a wild move onto my chart at #40 with his first hit. He’s currently on a U.S. radio tour. How About “That”: Will These Tunes Travel To The U.S.? Opening for Ed Sheeran on his latest tour down under and being the first signing on his imprint, a label called Gingerbread, has some pretty nice benefits. 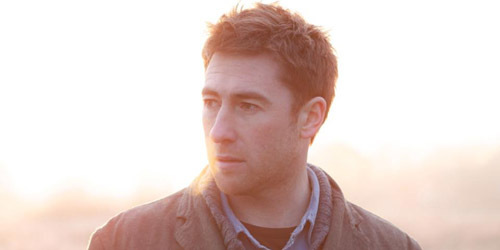 Now, the 39-year-old English singer/songwriter is reaping the rewards of his cool connection with a major radio and sales hit in Australia and New Zealand. The tune originally charted in Ireland over four years ago, reaching its peak of #3 in February 2011. The understated song could break out here, much like “The A Team”. It’s perfect for AAA radio. Clio’s been making a name for herself overseas for several years now, releasing her first album in 2013 to modest numbers. At age 28, she’s moved onto her next album and her latest single in “Heart”, another moderate success in her home country and a more minor entry in nearby Austria and Luxembourg. 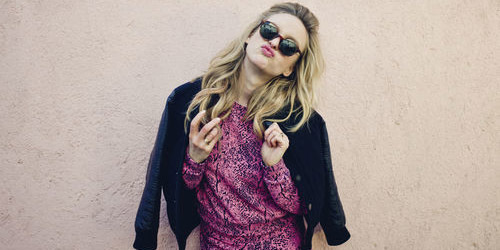 Her sound is described as “bloodshot-eyed soul”, a modern twist on the classic vibe that many acts are embracing. However, this empowering pop song could easily sync and sit well on Hot AC radio. 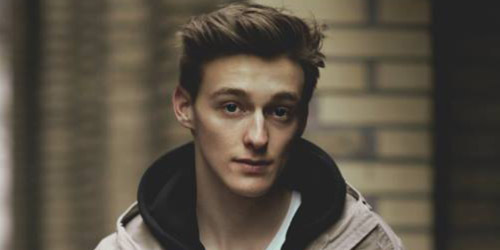 There is not a lot out there on young Nickless, but he’s a 19-year-old singer/songwriter from Zurich and this is his debut single there, a top 20 digital hit with an even higher Shazam ranking just beneath the top ten. Swiss press has tried to compare he and fellow Swiss singer Bastian Baker, who had several songs chart in 2011 and 2012. The two also toured together in 2014. Baker never made his mark in the U.S., but this singer’s charming sound and image are ready to win over more fans across the world. Which of these three cuts will make it to the U.S. first and do the best here? Let me know! Comment below or click on the “Get Social!” tab above to find PGTC on Facebook and Twitter.